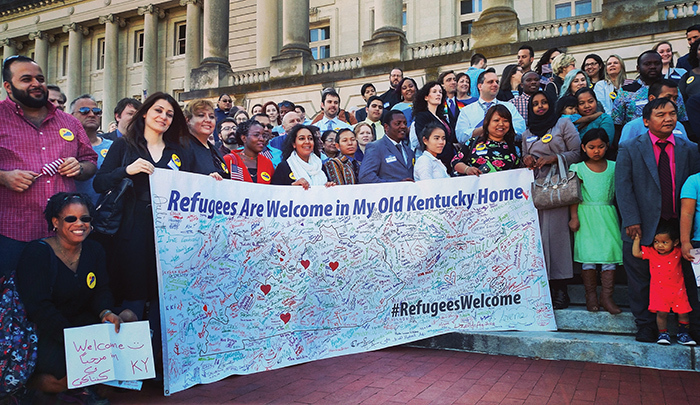 Kentucky immigrants and refugees gather outside the Capitol in 2016 for a “keep Kentucky global” initiative on behalf of Kentucky Office for Refugees, Kentucky Refugee Ministries, Americana World Community Center, Catholic Charities/Migration & Refugee Services, and the International Center of Kentucky. If you go back far enough in history, everyone came to Kentucky from someplace else. They sought opportunity, adventure, solitude or maybe just a fresh start. They brought with them elements of their cultures that shaped the commonwealth and in many cases define Kentucky to this day. More than 200 years after its founding, the flow of immigrants continues, from all over the world. As of 2015, an estimated 3.6 percent of the state’s population – more than 150,000 people – were born outside the United States. Today they come from Mexico, Cuba, India, Nepal, China, The Philippines, Congo, Iraq, Saudi Arabia and more than 100 other countries. They have carved out niches in places all over the state – from Cubans in Louisville, to Bosnians in Bowling Green, to Chinese in Northern Kentucky, and many more. Louisville has the nation’s second largest congregation of Cubans after South Florida. Lexington, where more than 30 African languages are spoken in the school system, is the top requested U.S. destination city among the Congolese and has a sizeable Nepali community. An Indo-Kentucky Chamber of Commerce launched in South-Central Kentucky in 2011. Many are refugees from their home countries seeking the same things that Kentucky’s earliest immigrants did. While they see America and Kentucky as place of opportunity, businesspeople and government officials here see opportunity in immigrants. They bring skills and enthusiasm to job sectors that native-born citizens sometimes shun. Their cultures enrich communities. And the simple fact of their arrival here helps offset the out-migration of native-born Kentuckians. Attracting immigrants is, in fact, an intentional economic development strategy at the local and statewide levels. Additionally, businesses have become reliant on refugees as part of their workforce, said John Koehlinger, executive director for Kentucky Refugee Ministries, a not-for-profit that helps refugees settle and integrate into the community. Among KRM’s services is job placement, and demand for refugees and immigrants is robust through a whole range of sectors, he said. Immigrant workers tend to stay in jobs once they get them. Koehlinger said the most recent 90-day retention rate for refugees KRM has placed in jobs was 91 percent, leading to good feedback from employers. In some cases KRM has replaced multiple job placement agencies that businesses had been paying for services. 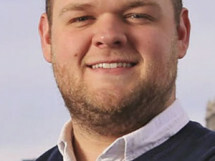 For example, NHK Spring Precision of America Inc. in Louisville was using five job placement agencies at one point to meet its staffing needs until it connected with KRM about a year ago, Koehlinger said. The company manufactures springs for automobiles, industrial machinery and digital disk drives. KRM learned what the company was looking for and pre-screened its clients so NSPA could choose from a good-size pool. As many as 50 KRM clients are now working at NSPA, roughly equivalent to the number of new jobs the company created four and a half years ago as part of a $19 million expansion. Some 150 employers throughout the Louisville Metro area – including Amazon, UPS and Kentucky One Health – have hired more than 700 refugees through KRM in the past year, including 48 job placements in November, Koehlinger said. KRM generally places refugees in full-time jobs within six months of their arrival, Koehlinger said. Their incomes flow back into the community in the form of consumer spending, rent, home purchases and other things. Immigrant households in Kentucky paid one out of every $27 in state and local taxes in 2014 – about $343 million – plus another $719 million in federal taxes and about $500 million in Social Security and Medicare program contributions, according to figures from The New American Economy, a bipartisan coalition of mayors and business leaders advocating for immigration reform. That left immigrants about $2.3 million to spend in the state’s economy in 2014. Those figures include about $36.6 million in taxes paid by the estimated 50,000 undocumented immigrants in Kentucky. A separate report from the Institute on Taxation and Economic Policy suggests that if those immigrants had legal status their tax contributions would have been $52.7 million. Immigration is a sensitive subject worldwide these days, and Kentucky is no exception. Good people can disagree about how many immigrants is too many and about the effects of illegal immigration. Here in the Bluegrass State, the question of legal versus undocumented, or illegal, immigration – the term varies with one’s sentiment – always simmers in the background of any discussion of the foreign-born. Estimates vary but a common calculation is that as many as 50,000 noncitizens live in Kentucky without proper documentation. Their legal status is murky, but it is clear that they work here, live here, pay taxes here and spend money here. Official efforts to attract immigrants to Kentucky tend to focus on people with professional and technical skills, an interest in opening a business in the United States and refugee resettlement – immigrants with proper documentation. Even so, there is a tendency to lump all immigrants together as foreigners who are taking jobs away from American citizens. And Greater Louisville Inc. President and Chief Executive Kent Oyler says that’s not accurate. “There’s a lot of voices around the country that are trying to make that point (about immigrants taking U.S. jobs), and they’re just wrong,” Oyler said. “None of the data suggests that the folks coming from foreign countries are actually taking jobs that could be filled by U.S. folks. Beyond that, Oyler said, refugees and other professional immigrants are not a drain on social services. Culturally, he said, these immigrants have a strong work ethic. In May 2015, GLI, along with Louisville Metro government launched a three-pronged strategy for growing the city’s economy and its population by attracting foreign-born workers. Global Louisville, as it’s known, seeks to make the Louisville Metro area a place to which refugees, so-called secondary migrants who move to Louisville after initially settling elsewhere in the U.S., and visa-sponsored immigrants want to come, believe they can succeed and want to stay. Without immigrants, Louisville would have lost population in recent years, GLI and the city say plainly. Going forward they represent a considerable portion of future growth. By 2040, the Global Louisville plan estimates that 17.2 percent of Jefferson County’s population and 10.6 percent of the Louisville Metropolitan Statistical Area will be foreign-born. In fact, data from the U.S. Census Bureau’s American Community Survey indicate that the demographic changes that could lead to those outcomes are already under way. Between 2011 and 2014, Louisville’s native-born population decreased by 705 people while its international population increased by 7,075. The foreign-born population in Louisville has roughly doubled every 10 years since 1990. Between 2009 and 2015, the foreign-born population in the Louisville/Jefferson County metro area increased by 42 percent, compared with the area’s 2.1 percent overall population growth rate. In 2015, foreign-born residents comprised 6.7 percent of Jefferson County’s population and 4.9 percent of the Louisville MSA population. Statewide trends also show the foreign-born populations increasing at a faster rate than the native-born population. According to the Census Bureau’s American Community Survey data, between 2009 and 2015, the state’s total population grew by about 3.4 percent. The foreign-born population grew an estimated 27.2 percent during that same time compared to a native-born population increase of 2.7 percent. Meanwhile, the state and its communities are pursuing economic development strategies that seek to attract jobs involving skilled manufacturing and science, technology, engineering and math (STEM). Workforce development in Kentucky is a major issue. Employers are demanding better educated, more skilled workers. The state’s native-born population simply hasn’t been able to keep pace with the demand. Kentucky broke records in 2017 in terms of the amount of capital pledged to creating or expanding businesses here – $9.2 billion – and the number of new jobs those investments are expected to generate – some 17,000. Even before all that good news, however, commonwealth employers were having trouble finding enough workers with the right skills to fill open jobs. 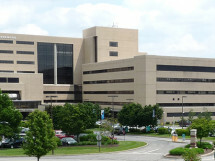 According to a Bridging the Talent Gap survey sponsored by the Kentucky Community and Technical College System, the Kentucky Society for Human Resource Management and the Kentucky Center for Education and Workforce Statistics, there were 51,000 open jobs in Kentucky in the first quarter of the year. Of the more than 1,000 human resources professionals and other business leaders that responded to the survey, 84 percent said recruiting qualified workers was difficult. Nearly 85 percent said finding qualified individuals for new full-time regular positions that require “new and different skills” was either Somewhat Difficult (61.3 percent) or Very Difficult (23.5 percent). The problem appeared most acute among skilled trades, engineers, hourly laborers and high-skill medical jobs, according to the survey. Lack of work experience and lack of skills were two of the top three reasons cited as main reasons their businesses had trouble hiring qualified people for full-time jobs. Forty-six percent of respondents said a better-qualified job candidate pool would prompt them to increase hiring, second only to improved market conditions/increased demand for products and services. The state and local communities are turning to immigrants to fill the gaps, partly because of their work ethic, partly because they are more likely to have college degrees than native-born workers and partly because statistically they are more likely to be active in the labor force than native-born individuals. Of roughly 100,000 immigrant workers in Kentucky in 2015, nearly 20 percent worked in the manufacturing industry. Another 13.7 percent worked in accommodation and food services and 13.2 percent in health care and social assistance jobs, according to figures from the American Immigration Council. Among the industries with the highest concentrations of immigrant workers statewide, agriculture, forestry, fishing and hunting led the way, with 18.5 percent. Accommodation and food services was second at 6.7 percent, followed by manufacturing (5.5 percent) and administrative and support, waste management and remediation services (5.4 percent) and construction (4.9 percent). Immigrants are also starting businesses. Nearly 5 percent of immigrants in Kentucky are self-employed, according to research from the New American Economy. Another 23 percent of immigrants work for an immigrant-owned business. 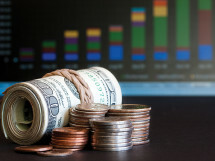 Immigrant-owned businesses generated $315 million in income in 2014. KRM’s Koehlinger said amid the rush by cities to attract the next generation of talented entrepreneurs and innovators, it’s important not to overlook home-grown options: children of refugees and other immigrants already living here. Meanwhile, immigrant communities tend to attract other immigrants, bringing more talent, more culture and more diversity. That’s the hope among city and state business and economic development leaders, anyway. They may be thwarted, though, by changing federal policies. President Donald Trump plans to cut the cap on the number of refugees allowed into the U.S. by more than half to 45,000. In his last year in office, President Barack Obama set the cap at 110,000 refugees. The Trump administration has been gradually ratcheting down the number of visas granted for foreigners to work in the U.S.
Koehlinger said he’d be surprised if the U.S. allows even 45,000 refugees in the coming year. “Our pipeline of refugees from overseas who are cleared for travel is thinning quite dramatically and not being replenished,” he said. For Greater Louisville Inc., which has been working to attract professional immigrant talent as part of the Global Louisville initiative, federal immigration policy could throw a wrench into a major economic development strategy for the state’s largest city. Initially when Greater Louisville was started, the city and GLI had higher expectations for their ability to attract people internationally. That’s led GLI to reshuffle its resources to focus more on domestic migration. Benton said rather than shunning immigrants, states and communities might instead be excited and proud of the fact that people from other places want to live there. Immigration, he said, is a sign of growth, and it enriches communities.